I haven't written in a while, so I thought I'd write a little something. I've been dealing with a lot of pain lately. 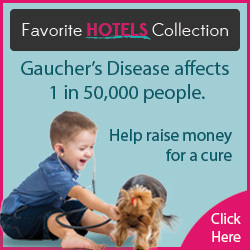 I can only assume that it is partly from my Gaucher's. I get pulsing, nerve ending pains that cripple me for a few minutes, or however long they last. I've been getting them pretty frequently. I have also been getting headaches daily, sometimes a couple times per day. I haven't had to miss work from the pain, but it definitely makes me stop for a minute to take pain medicine or massage the pain away. My infusions have been going well. I'm almost a pro at mixing my VPriv. Only made a mistake once. Not too bad. We had some trouble accessing my port a few weeks ago. Not sure if my mom just couldn't get the center, or if there was a clot blocking the line. I'd like to film the process of mixing the drug sometime, just to show people that it's not that hard, but it's a timely process. I was just diagnosed as pre-diabetic. I'll be doing some research to see if diabetes is higher in the Gaucher community, or it it's just my lifestyle. Either way, it's just one more thing to pile on top of my already full plate. I don't have to take medicine for it (yet); I just have to watch what I eat and start exercizing.